West County CYC is using Rainout Line to keep Coaches, Parents & Fans up to date on facility closures. There are 3 ways to access this information. All options provide the same information. 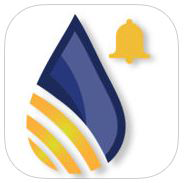 The Rainoutline.com app can be downloaded from the app store. Set the alerts on your phone to notify you when a change is made.